Go to Aiken with Courtney Cooper & C Square Farm! 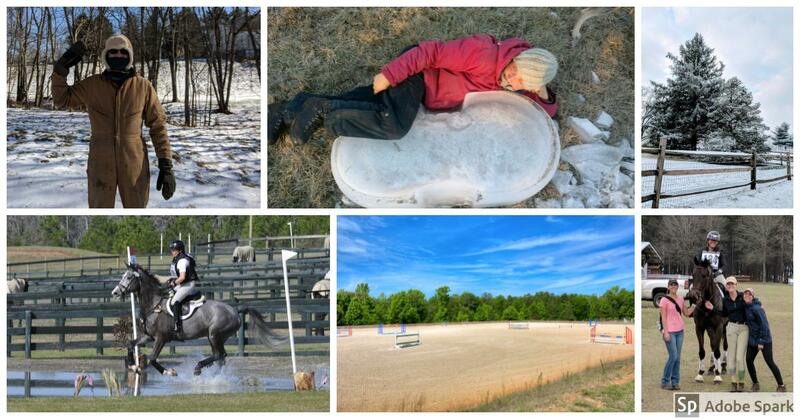 Leave the snow and ice behind and start planning for Aiken! C Square Farm is not only one of the leading sales programs in the country, but we also offers training with 4-star rider Courtney Cooper. Our program is one of the few in the country that has produced a homebred horse to the 4-star level. Come find out why horses thrive here! • FOR YOU & YOUR HORSE: We’ll house your horse at the farm and assist you in arranging your lodging, either on or off site. We’ll customize a training program for you and your horse that includes lessons and schooling during the week and competitions or more training on the weekends. • ALL INCLUSIVE FOR YOUR HORSE: When your horse arrives and stays with us we will do all the training and competing, keeping you updated of the progress. • ARRIVE & RIDE: We will train your horse during the week so you can come compete or train on the weekends. • CONSIGNMENT PROGRAM: Send us your horse to find a new home. We sell over 15 horses while in Aiken during the winter season.